No matter the season, we're always fascinated by glittery beauty looks. This stunning spread by photographer Ruo Bing Li is our latest obsession and has us itching to do some experimenting with gold glitter. Would you try glitter makeup? Tell us in the comments below! 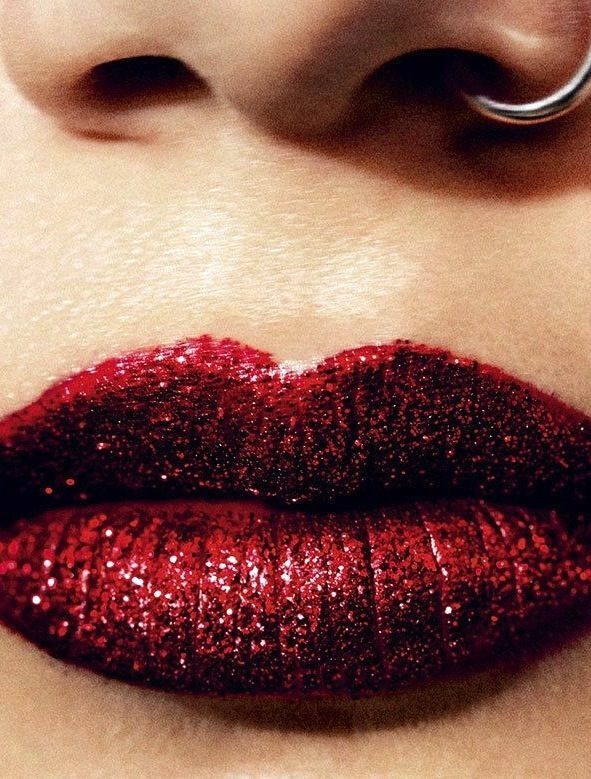 Would You Wear Glittery Red Lipstick?